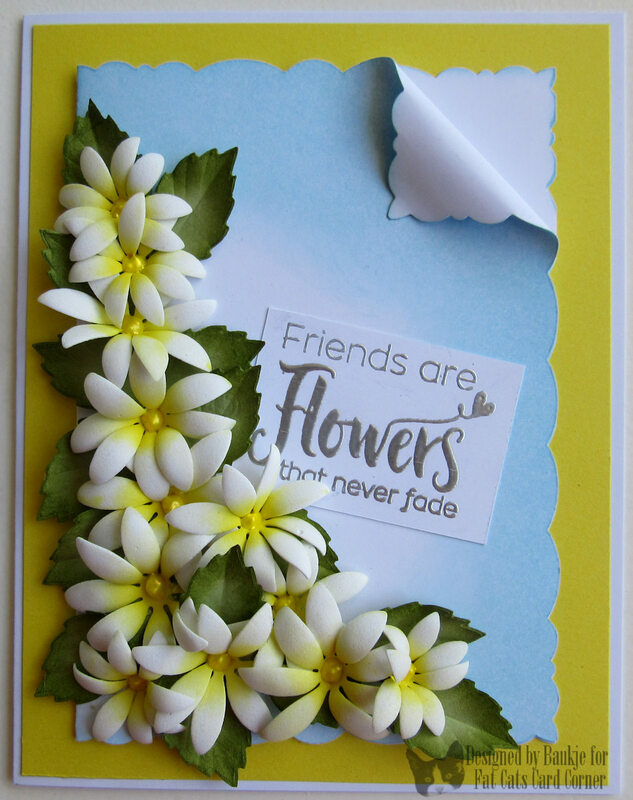 I've been trying out the new flower foam for making flowers. 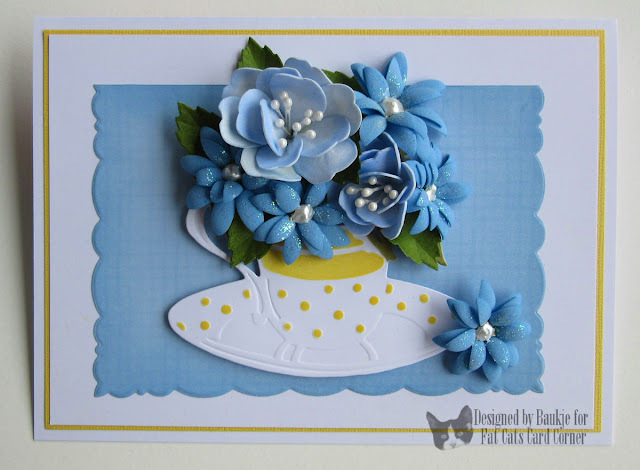 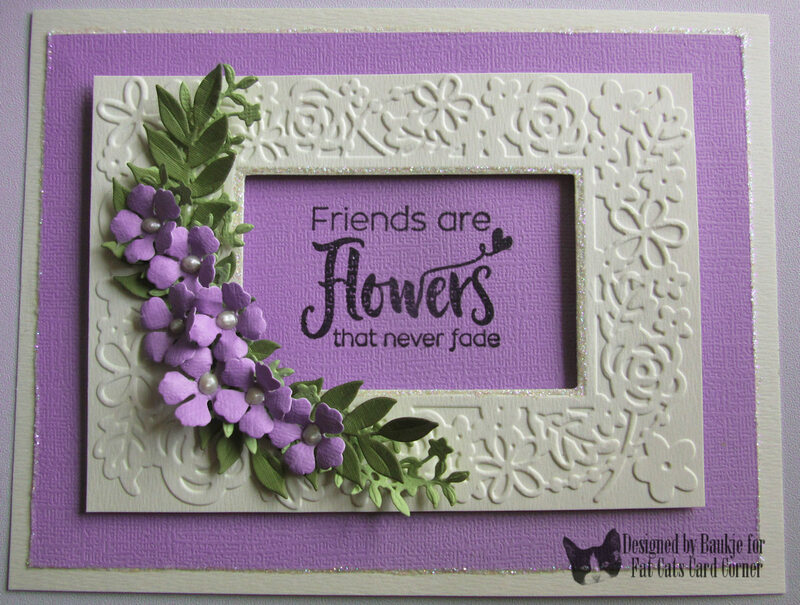 Paper Roses cling rubber stamp "Friends are Flowers that never Fade"
Crafts Too Presscut Floribunda Embossing Folder and Die Cut. 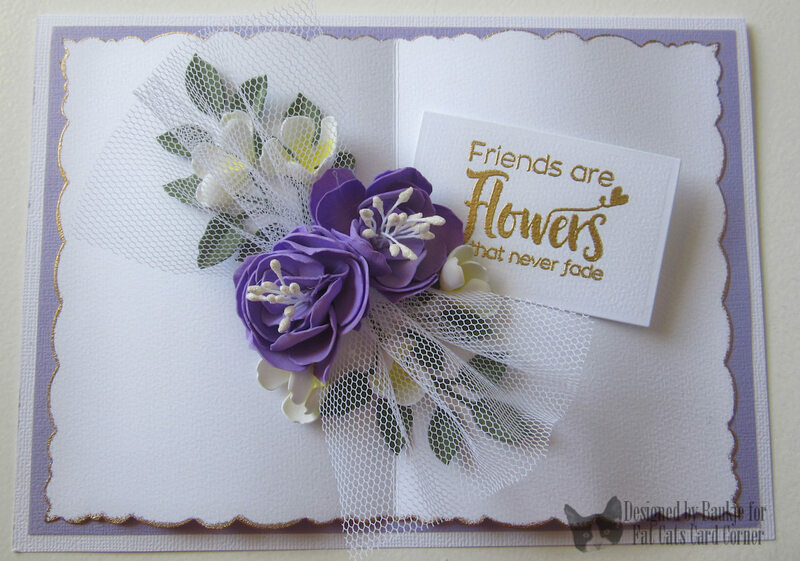 Leane Creatief flower foam (large Flower). With Sympathy Die'sire Wording Die. 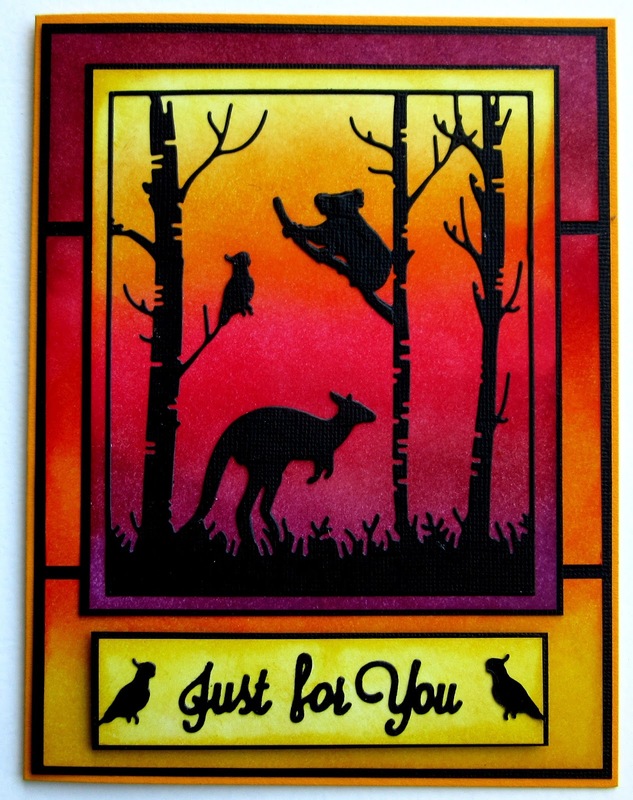 Kangaroo in Forest Paper Roses die and Just For You Crafters Companion Die'sire die were used. 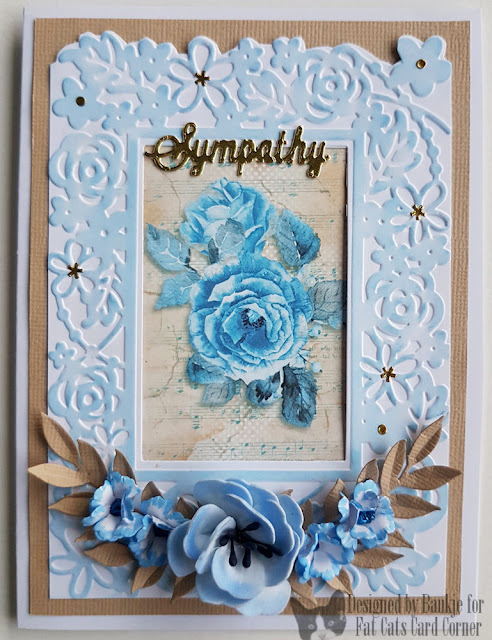 Distress ink blending for the backgrounds. Sue Wilson Finishing Touches Stitched Hills and Clouds.